Three big things to take away from that trailer: 1. Dr. Grant is back!!!!!!! 2. Raptor intelligence. 3. New dinosaur – bigger and meaner than Tyrannosaurus. While some enjoyed this approach, it is worth noting that Jurassic Park III was both the worst reviewed critically of the series (49% on Rotten Tomatoes and 42 on Metacritic) and the least profitable. The film grossed only 368 million with a 93 million budget, Lost World by comparison grossed 618 million with a 73 million dollar budget. Three big things to take away from that trailer: 1. Star-Lord is in Jurassic Park!!!! 2. Raptor Intelligence. 3. New dinosaur – bigger and meaner than Tyrannosaurus. Yeah, it seems like at least one part of the Hollywood machine, Jurassic World‘s marketing, is very content to recycle the old hooks of Jurassic Park III. Both films also share a similar “over the top” approach. Jurassic Park III includes shots in a river, in a giant bird-cage, in a lot of environments to add spectacle. Jurassic World shows much the same… adjusted from 2001 to 2015 (over the top means so much more today). It is hard to claim you are making any kind of serious movie when this is a shot in the trailer. This marketing move is perplexing, given how the last film was received. While some fans enjoyed Jurassic Park III‘s ride, many wanted a return to the more intelligent Spielberg approach. Instead, audiences will be treated to Indominus Rex, the new dinosaur created by genetic modification… of all the largest and most dangerous dinosaurs into one… cause that sounds intelligent. They should have just gone all out and added the DNA of Adolf Hitler… cause it might look cool with a mustache? Escalation is a typical strategy in Hollywood sequels: bigger means better. Jurassic Park has been a film franchise that has followed this philosophy with every sequel. 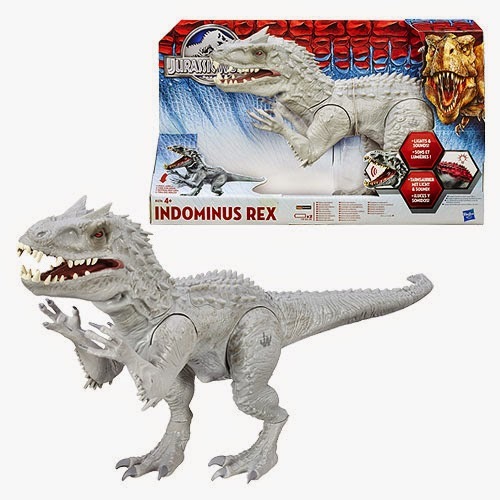 One T-Rex became two, became a Spinosaurus, became an Indominus Rex. What’s next? Two cloned dinosaurs… are they planning to give it wings? The problem with this approach is that it all says one thing: what is there isn’t exciting without something new added. In this case dinosaurs… dinosaurs are not exciting without new and better dinosaurs. What? 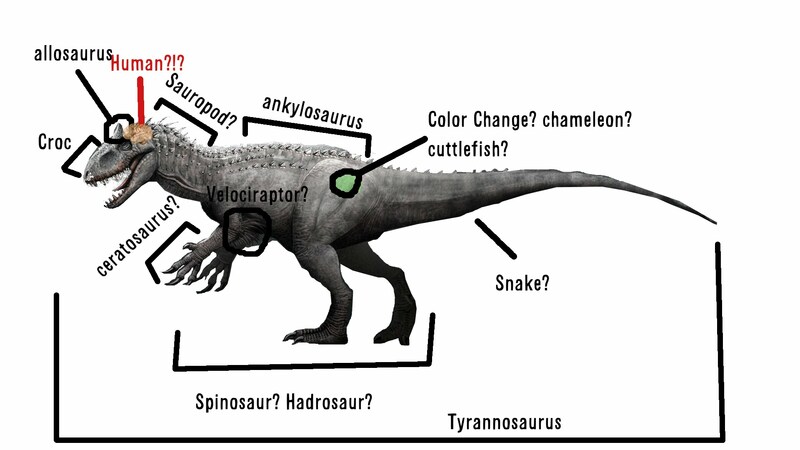 Dino Riders: the logical conclusion. 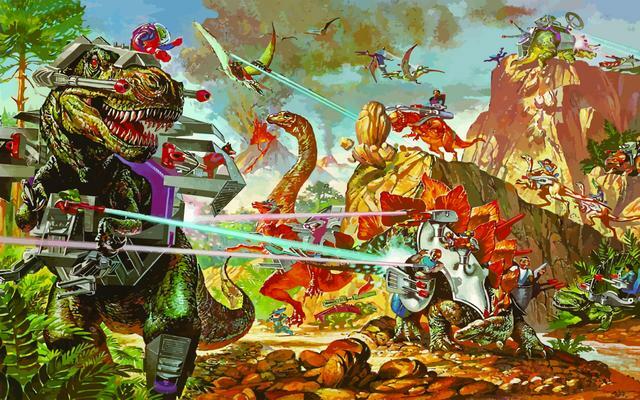 Also, why has no one made a Dino Riders movie yet? Granted, the story arch of the first Jurassic Park does not lend itself well to sequel material. There is a park that makes dinosaurs, dinosaurs get out, dinosaurs eat people – cut and we’re done. It isn’t an idea that demands “what comes next?”. The Lost World tried to change the formula, adding messages of conservation and naturalism vs. profiteering… to mixed results. 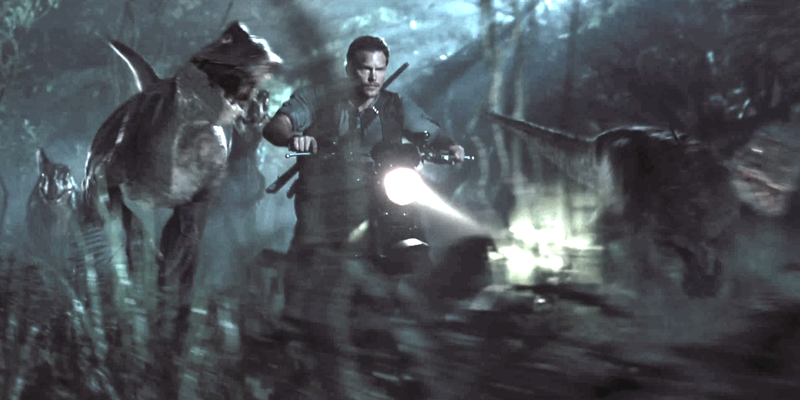 Jurassic World looks squarely back in the first movie’s camp, however the trailer does contain some self-awareness that may be a sign that audiences are in for a treat. After all, Jurassic Park III had no character calling out how inane its central plot mechanic was. Director Colin Trevorrow is untested, and that can be a good thing when it comes to injecting freshness into a series. However, two recent developments have further damaged excitement towards Jurassic World. Trevorrow has already said he has no plans to return for a sequel, which can be taken as either creative vision to do something else… or the studio was less than pleased with the final product. By itself, it is easy to assume the former, until we look at the early reviews… or lack thereof. As of right now: no critical review has been received on either Rotten Tomatoes or Metacritic. This is odd for a movie with such an imminent release. Pixar’s new film, by contrast, does not release until later than Jurassic World – and that already has reviews pouring in. Time will tell what type of movie Jurassic World is. One thing seems already certain though, the Jurassic Park franchise marketing department needs to go extinct. Unrelated note but am I the only one who also thinks these new toys are terrible? Seriously, it just looks like a mess of hard, jagged, plastic. Yeah, I want my child to play with that. I miss the old style figures.